New patients only. 48 hour cancellation notice required. Please inform us that you're using this complimentary one-time offer when scheduling an appointment. Services must be used by the same person. Must Mention Offer When Scheduling! Our focus is on providing the highest degree of quality and excellence in both General and Cosmetic dentistry. Dr. Galliano is dedicated to restoring the natural beauty of your smile using advanced cosmetic materials and conservative procedures, that will produce the beautiful long lasting smile you deserve. We provide General dentistry, Cosmetic dentistry as well as Implant Dentistry in Baton Rouge with procedures like: Veneers, Crowns, Bridges, Gum Lift, Implants and Teeth Whitening. We are recognized in Baton Rouge for our painless dentistry and are dedicated to making you feel comfortable for even the smallest procedures. We provide comprehensive dental care and use preventative as well as Restorative and Cosmetic Dentistry to accomplish a beautiful natural smile. Dr.Galliano is known for providing the highest quality of restorative General and Cosmetic Dentistry in Baton Rouge, and we would be honored to serve you and your family's dental needs. Our office looks at each patient as a part of our own family, we want to take time to properly educate and perform preventative dental treatment in order to achieve optimal dental health. This is why we believe in comprehensive exams for new patients to access the gums and teeth for any dental disease. Oral cancer screenings are also performed on a routine basis for patients of all ages. We believe that education is the key to excellent dental and ultimately total body health. Preventative procedures include: Sealants, Fluoride or Xylitol treatment, Routine Cleanings and X-rays. The success of our practice is built on the positive impact we have made with our patients in both dental and as well as overall health. We treat patients of all ages and perform painless general and cosmetic dentistry. We know visiting a new office can be intimidating, but our warm and friendly staff will make you feel comfortable and relaxed from the minute you walk in. We are dedicated to making Baton Rouge smile again, contact our Baton Rouge dentist office at 225-296-0212! The team at Galliano Family Dentistry can assist you with a broad variety of dental needs, including normal check-ups, x-rays, whitening services, implants, and more. Read more about everything our team has to offer. Dr. Galliano has perfected thousands of smiles in the Baton Rouge, Denham Springs, Prairieville and Gonzales areas. Baton Rouge Cosmetic Dentist, Dr.Galliano, has helped countless patients achieve a more natural-looking smile with porcelain veneers. Dental bonding is an effective treatment option to repair minor damage or imperfections and restore your teeth to their most beautiful refreshed state. Do you have any broken, missing or failing teeth? Baton Rouge Dental Implant dentist Dr. Galliano can give you back the beautiful smile you deserve. With over 33 years of experience, Dr. Carol Galliano is skilled in safe dental amalgam removal in Baton Rouge. ClearCorrect is the clear and simple solution to straighten your teeth with no wires and no brackets. Dr. Galliano is a general dentist in Baton Rouge who has helped many patients that were previously unable to find relief from their TMJ symptoms. We understand that the health of your mouth is related to overall wellness. personalized dental care – principles that are the foundation of our practice. Our use of cutting edge x-ray and cavity assessment methods allows us to prevent tooth decay and to conservatively manage decay that has progressed to the point of needing treatment. The overall result is the preservation of natural tooth structure. Dr. Galliano believes that "A beautiful smile on the outside can reveal a person's God-given beauty within." through our website and be sure to contact us if you have any questions. To make an appointment at Smiles By Galliano, please call our dentist office at (225) 296-0212 and talk to one of our friendly staff members. We look forward to seeing you soon! The expert dental care staff at Smiles by Galliano in Baton Rouge live by a standard of excellence: treat each patient with the same compassion, understanding, and speed that we would want from a dentist’s office. Give us the chance and we will exceed your expectations. Our general and cosmetic dentist and assistants are experienced in all common dental care issues, cosmetic dentistry and TMJ services. As a neighborhood family dental practice in Baton Rouge, we enjoy seeing both children and adults and are proud to have patients who represent several generations of the same family. Families receive treatment from all over Greater Baton Rouge including Gonzales, Denham Springs, and Prairieville, LA. Stop by our Baton Rouge Dentist office today! Partnering with our Baton Rouge, Denham Springs, and Prairieville patients and helping them achieve and maintain maximum oral health is our overriding priority. Our philosophy centers on prevention, patient education, and personalized dental care – principles that are the foundation of our practice. Our use of cutting edge x-ray and cavity assessment methods allows us to prevent tooth decay and to conservatively manage decay that has progressed to the point of needing treatment. The overall result is the preservation of natural tooth structure. Dr. Carol Galliano has been practicing dentistry in the Greater Baton Rouge area for over 21 years. 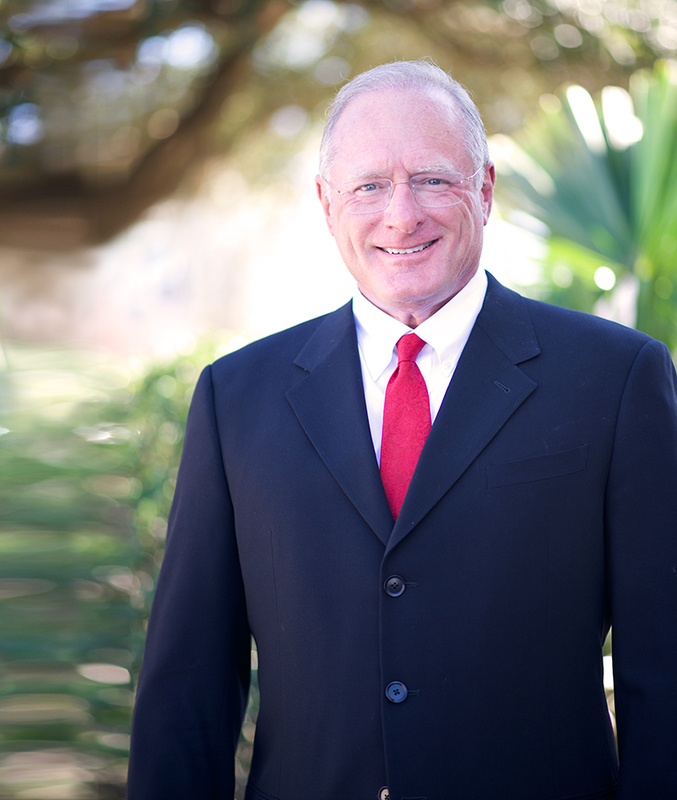 Dr. Galliano earned his degree from Louisiana State University School of Dentistry in 1983 and his fellowship master's certifications from the Academy of General Dentistry. Dr. Galliano is also a graduate of all advanced level programs at the prestigious L.D. Panky Institute for Advanced Dental Study. So if you are seeking preventive or restorative care near Gonzales, Denham Springs, and Prairieville, it is our privilege to assist with dental services including complimentary consultations, routine examinations, dental cleaning, fillings, cosmetic dentistry, TMJ services, crowns, dental implant procedures, zoom whitening, bonding, and many other procedures. We are here to help you achieve your dental goals and support you in the maintenance of your overall health and wellness. to serving our patients includes providing information that helps them to make the most informed decision about their oral health needs. Our website is full of resources that we hope you'll find both useful and interesting. Please browse through our website and be sure to contact us if you have any questions. To make an appointment at Smiles By Galliano, please call our dentist office at (225) 296-0212 and talk to one of our friendly staff members. We look forward to seeing you soon!